ICAD strengthens the capacity of its stakeholders, including its members and governments, to address the global HIV epidemic by sharing lessons learned on programs and partnerships. ICAD has a diverse membership, rich with experience both in Canada and internationally. Facilitating the sharing of the insights and lessons learned from these experiences is at the core of ICAD’s work. Learning from the efforts of our partners across Canada and around the world provides the opportunity for us to reflect on the work we do and to strengthen our strategies for improved responses to HIV in communities across Canada. 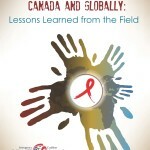 Similarly, by sharing lessons learned and innovative program approaches in Canada, we are able to contribute to an effective global movement to advance the lives of people living with and at risk of HIV. ICAD builds capacity through the production and dissemination of webinars, toolkits, workshops and its International Youth Internship Program and International Aboriginal Youth Internships initiative.  ICAD develops and identifies educational tools and resource materials to help its members, the public, international development organizations, governmental and non-governmental bodies, and other stakeholder groups understand and act upon important issues in the global HIV epidemic and in Canada’s response. Information sharing within the HIV community is a vital element to the success of the response, for ensuring effective prevention efforts and for improving outcomes for all of those affected by HIV and AIDS. By providing relevant, balanced and timely information and analysis on issues related to HIV, ICAD is working to ensure a strong, effective and innovative HIV response both at home and abroad by its Coalition members.